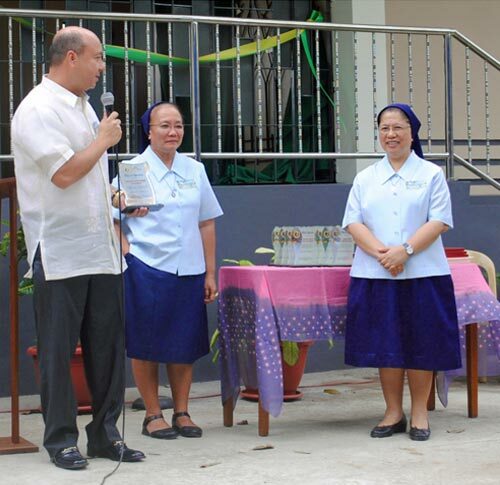 In right photo: Honorary Consul General of the Republic of San Marino to the Philippines Jean Henri Lhuillier receives a plaque of recognition from Hospicio de San Jose. On March 19, 2012 Honorary Consul General of the Republic of San Marino to the Philippines Jean Henri Lhuillier graced the blessing and inauguration of the newest structure of Hospicio de San Jose -- The Sanctuary in Quiapo Manila. The Sanctuary will stand as a refuge for children and women who were subjected to violence and abuse. 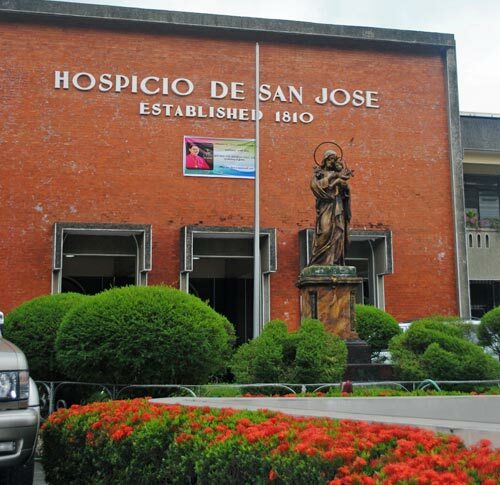 For over 10 scores, Hospicio de San Jose has continuously answered the calls of the less privileged in the country. The Government of San Marino, as represented by Honorary Consul General Jean Henri Lhuillier, expressed its full support to the foundation through donations and project proposals. It was just last year when First Secretary Sylvie Bollini of the Ministry of Foreign Affairs from the Republic of San Marino visited Hospicio de San Jose as part of the Inter-Country Adoption Program. Hospicio de San Jose Directress Sister Maria Socorro Evidente recognized the key sponsors of the project including the Government of San Marino, the Austalian-New Zealand Association (ANZA) and the Australian Embassy Direct Aid Program. The blessing rites were performed by his Most Reverend Bishop Teodoro Bacani Jr. Also present were Ambassadors Bill Twedell and Reuben Levermore of the Embassies of Australia and New Zealand which are the main donors of the project. Other sponsors who attended the occasion were Holcim Cement Philippines, LSM Builders and Steel Inc., James Hardie Philippines Inc., and Sinclair Knight Merz Philippines Inc.